Please join us in welcoming one of our newest team members, Diane Lazo. She was born in Manila Philippines and came to the United States when she was six years old. She is fluent in Tagalog, which is the universal Filipino language. 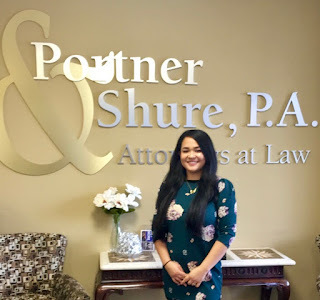 She worked with another firm handling personal injury and workers compensation for five years before coming to Portner & Shure. In her spare time she volunteers with various non-profit dog rescues to assure all dogs find a forever home. Other than that, she can typically be found spending time with her two daughters, husband, and Toby- her 95 pound pitbull fur baby. With Portner & Shure, she hopes to continuously expand her knowledge on workers compensation throughout Maryland and Virginia. We’re very excited to have her a part of our team and to watch her knowledge grow. If you’ve ever been involved in an accident, you know there is always the possibility of liability being disputed between parties involved. Dashcams have become more and more popular as a means to protect oneself against false statements. If you choose to install a dashcam, here are a couple things you should know. One, it’s 100% legal to record public video of people, including police officers. 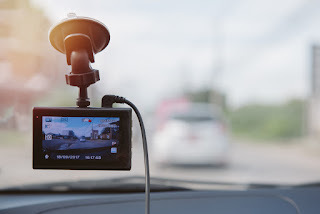 If your dashcam is recording video outside of your vehicle, on the highway or in a parking lot for example, it doesn’t matter if the parties being recorded are aware of it. Two, if your dashcam records audio inside of your vehicle, this is considered a private place and your passengers should be made aware of the recording. Otherwise you could be charged on the grounds of Maryland’s wiretapping laws. If you’ve been injured in an accident you need a top rated attorney regardless of if you have a dashcam or not. Give Portner & Shure a call today. In December of 2015, our client was involved in an accident where she was rear-ended while sitting in traffic on Rt. 50. The defendant had claimed that she, herself, was rear-ended and the person fled the scene, which forced her into the back of our client’s vehicle. However, our client stated she saw no one drive off in an aggressive manner. Also after Maryland State Police examined the defendant’s vehicle at the scene, a minor scratch was noted, but nothing that would have resulted in her being pushed into another vehicle. Liability was accepted by the defendant’s insurance company, unfortunately there was only $30k available on the policy. After our client was through with treatment she had incurred almost $90k in medical expenses. Luckily, the assigned paralegal, Mrs. Christine Airey, is highly experienced and knew she could find additional coverage for her client. After accepting the $30K from the defendant’s insurance carrier, Mrs. Airey was able to obtain an additional offer of $188k from the client’s underinsured motorist coverage. Needless to say our client was very pleased with her final result and was thankful for all the hard work Mrs. Christine Airey put into her case.